Our goal is to connect people with the best local experts. We scored wedding photographers on more than 25 variables across five categories, and analysed the results to give you a hand-picked list of the best wedding photographers in Encinitas, CA. Aaron Willcox Photography offers professional wedding photography services in Encinitas, CA. A believer in the power of true love, Aaron Willcox Photography aims to capture the sincerity and intimacy that makes each wedding unique and full of love. They take pride in offering a high level of passion, care, and technical mastery that ensures the moments of their customers' special day are not lost in time. A winner of the Wedding Photojournalist Association Gold Medal, the Fearless Photographers Award Winner, and 21 Artistic Guild-Wedding Photojournalist Association Awards, Aaron Willcox Photography utilizes a high level of skill and experience to offer an original vision for each event. Los Angeles area photographer, Ashley Barker Wedding Photography, takes one of the most important days in a couples’ life and captures it forever on film. Ashley Barker, owner and lead photographer, has been taking pictures since she was a teenager and had dedicated her life to the craft. Her passion makes each photo she takes unique and special to the couple and occasion. Her skills in outdoor photography have landed her pictures on the covers of magazines such as Snow Surf and Golden Ride. Customers love the photos Ashley takes to commemorate moments they couldn’t have anticipated for a photo list. Brett Butterstein Photography specializes in taking pictures for weddings using state of the art equipment and a special dedication to capturing the details of a couple’s personality and unique traits. Mr. Butterstein is the lead photographer and began professionally photographing weddings in 2005 and spends the majority of his time traveling, teaching and learning more about the field. He was named the Wedding Photographer of the Year in 2016 by the Wedding Photojournalist Association and one of the World’s Top Photographers by Italian Luxury Magazine. Many of his clients recommend him to others because of his high-quality pictures and the thorough attention he gives all of his customers. He serves people in many different locations around the world, including Mexico, Hawaii, Orange County, Palm Desert, and downtown San Diego. For The Soul Photography is an Encinitas, California based photographic studio that operates throughout the greater San Diego area. The company is run by a husband and wife team whose stated mission is to capture their clients' unique moments so that they can enjoy them for a lifetime. The company utilizes natural lighting and on location photo shoots to significant effect. Some of the business' services include event photography, weddings, portraiture, headshot, lifestyle images, product photography, and real estate documentation. Interested clients can contact For The Soul Photography by phone or email to schedule an appointment or request a price quote. Frankel Photography is a San Diego, California based photographic studio that has over 27 years of experience in all variety of photography. Frankel Photography is run by husband and wife couple, Al and Heather Frankel. The company holds memberships with the Professional Photographers of America and the Wedding Photography Association. Some of the services provided by Frankel Photography include wedding special, bar mitzvah photography, family portraits, and pet photography sessions. Interested customers can contact the company by phone or email to schedule an appointment or to request a pricing consultation. A large gallery of past client images may also be found on the company website. Goodnickels Photography is a five-star rated wedding and family portrait studio with a team of fun, experienced, and enthusiastic artists ready to capture life’s most important and extraordinary moments. 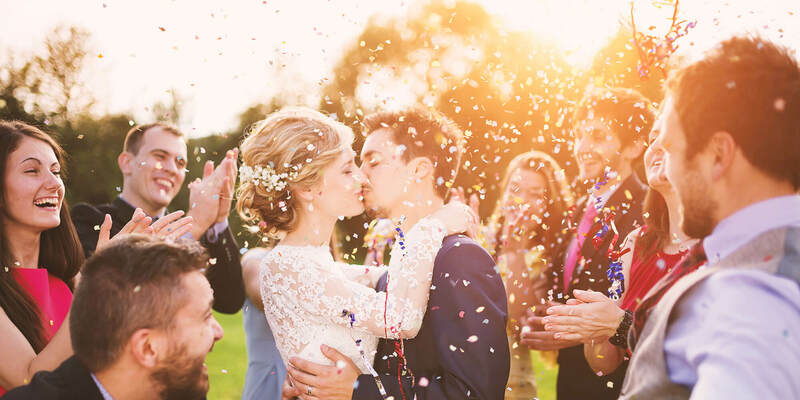 Whether customers want a small and intimate backyard wedding, an elopement ceremony at the beach, or an all-inclusive dream wedding for hundreds of guests, the studio’s photographers have packages for every need, budget, and taste, and use a bright, colorful, journalistic style that captures each smile, tear, and kiss. Bold colors, natural light, and soft black and white all come together to make a wedding album that customers will want to share again and again, for other important milestones, the studio offers family, maternity, and baby portrait sessions to create even more wonderful memories. Melissa McClure Photography provides photography services from Melissa's home base in San Diego, CA. San Diego will always be home for Melissa, and she loves photographing there year round. She offers standardized wedding packages and more customized packaged to customers who would like them. Photography is Melissa's #1 passion, and travel is close behind at #2. She keeps her passport close by at all times, and she jumps at the chance to photograph destination weddings at places beyond San Diego. Minimal travel fees will apply. Melissa never takes herself too seriously, and her work reflects that spirit of freedom and fun. Mellow Mood Photography is an Encinitas, California based photographic studio that works in all manner of distinct fields of photography throughout the greater San Diego area. Concert photography, family portraits, and wedding photo shoots are just a few of the different services offered by the staff at Mellow Mood Photography. The company has experience utilizing both film and digital mediums and editing and hard copy print production services are available upon request. Mellow Mood Photography maintains an extensive gallery of past project images on the company site for the benefit of its prospective customers seeking to visualize the type of work the business produces. Michael Svoboda Elite Photography is a professional photography business headquartered in Carlsbad, California that serves clients in the surrounding metropolitan area and beyond. The Signature Artist of the Month on iStock Photo for August 2015, owner and photographer Michael Svoboda has been featured in such publications as Getty, Carats and Cake, Carats and Cake Hotel Del, and Exquisite. He was also True Photography's Lead Photographer for ten years, with more than 400 weddings photographed. Michael Svoboda Elite Photography offers clients wedding coverage as well as family portraiture sessions in autumn and rustic scenes. The company has a social media presence on Pinterest, Twitter, Facebook, Instagram, LinkedIn, and Google Plus. Solifoto is a boutique photography studio located in San Diego, California. They provide custom photography services for weddings, special corporate events, business headshots, corporate website photos, family portraiture, and editorial boudoir – their specialty. Solifoto’s primary photographer, Laura Bravo Mertz, has had her work previously featured in publications such as Vogue UK, Riviera, Viva Glam, Ranch & Coast, Off the Easel and Fine Magazine. Her photography style attempts to draw out the client’s emotion and color to create a more bold and adventurous version of themselves in photos. Solifoto’s website offers an extensive gallery of their past photo sessions and their variety of services. Stunning Photography is a husband-and-wife Encinitas, CA wedding photography company that serves residents throughout San Diego County. Owners Lana Dovbenko and Igor Lysenko recently moved from Europe to the San Diego area and opened their studio shortly after moving to the San Diego area. Their commitment is to stun their clients with the beauty, emotion, and stories behind each photograph. The company offers three levels of wedding packages and also does videography. Couples who select a video plus photography package also receive a discount. Clients access their proofing gallery through an online portal. Stunning Photography also does family portraiture either on location or at their studio, as well as event photography, corporate events, and commercial photos. The Cali Life Photography is the brainchild of Greg Cali, who is proud to infuse his photography with an artist’s perspective. He works as if he were painting each subject in its own personal best lighting, capturing photos with ideal color and light. He dedicates himself to getting the “perfect shot,” and clients across Southern California seek him out for his work. The Cali Life Photography works with a wide variety of clients, settings, and unique requests. Greg's credits include work in Exquisite Weddings Magazine, San Diego Pacific Magazine, Fine Magazine, Swell Realty, Sotheby’s, Previews, O’Gara Coach, Cartus, Dimension Data, and Monster Energy.